A New Version of the World? 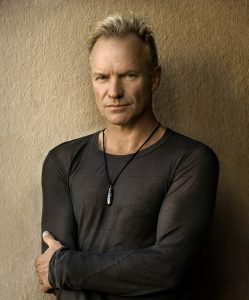 In her July 18, 2016 column in the Datebook section of the San Francisco Chronicle, Leah Garchik quotes the musician Sting: “We need a new version of the world, one based on empathy, on solidarity, one based on our common humanity.” I couldn’t agree more! Join us on Thursday, August 4th, Noon – 1:30 p.m., at Balboa High School in San Francisco to see the culminating presentation of our Institute participants, then take part in the follow-up Q & A session. During the Institute, we’ll have been delving into the significance of the Universal Declaration of Human Rights(UDHR) and Human Rights Education as tools to encourage empathy and commitment to solve complex issues, while promoting equality, justice and human dignity for all people. After all, this is what was intended when the UDHR was adopted in 1948 – an international agreement to uphold its 30 Articles so that peace and constructive problem solving would replace hatred and war –a new version of the world. If you can’t join us on August 4th, check out the UDHR and consider how it could help guide us, in solidarity, to address the gaps between current reality and the aspirational rights the document spells out. Let us know what you think via email, Facebook, or Twitter! I know this isn’t easy. Over these last few weeks, with such distressing social turmoil swirling around us, I’ve been feeling that our efforts to communicate about the relevance of human rights principles is like a butterfly flapping its wings against the headwinds of a hurricane. See my blog post on the revitalization of a previously vacant lot to demonstrate how small actions can bring about great change and inspire hope over distress.